Manchester scientists have found that gentle heating of targeted nano-sized drug parcels more effectively in deliver them to tumour cells – resulting in an improvement in survival rates (Journal of Controlled Release, “Monoclonal antibody-targeted, temperature-sensitive liposomes: In vivo tumor chemotherapeutics in combination with mild hyperthermia”). 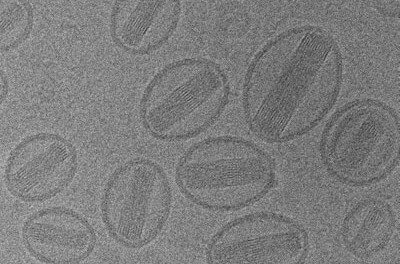 One of the clinically-established methods for the delivery of cancer chemotherapy drugs has been to package the drug inside nano-sized containers, known as liposomes. This allows the drug to more effectively localize into cancer tissue and reduces side-effects by limiting drug-infused liposome uptake in healthy cells.